Well that was a GenCon for the books! Absolute mayhem at our booth, with folks lining up to grab our new releases. The announcement of the Expanse RPG license. New opportunities and incredible partnerships in the offing. It was amazing and we have you to thank for it. 17 years in business and we are stronger than ever before. Seriously, thank you! We’ll be taking a couple of days to recover but then it’s back to work on our next batch of books. This seems an opportune time to update you on our releases for the next six months. We’ve got a lot going on so let’s get to it! 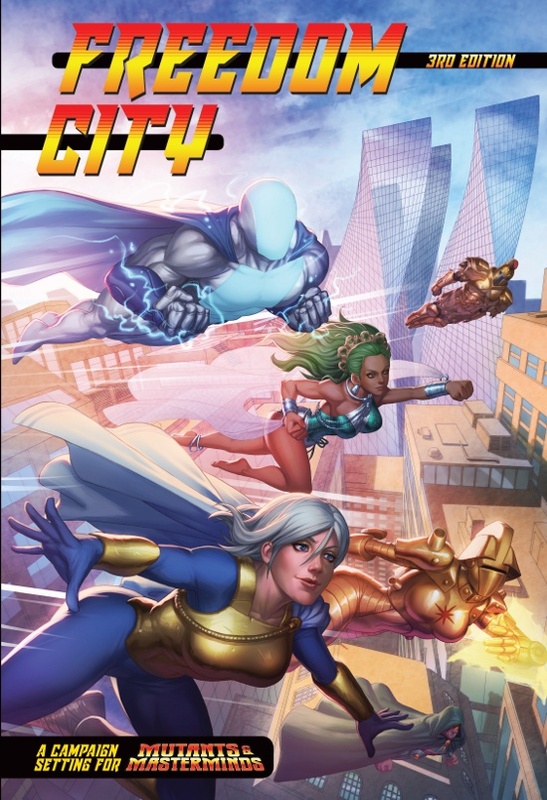 Our next book will be the new edition of Freedom City for Mutants & Masterminds. We’ve been working on this for a long time and the hour is finally nigh! This is the original setting for the game, the metropolis that birthed the Earth-Prime setting. And at 320 pages it’s as mighty as Captain Thunder! Look for Freedom City in October. November is a triple threat. We’ve got another Mutants & Masterminds book, Rogues Gallery. This was a PDF series we did for the last couple of years. The book collects all the villains from that and adds some new ones as well. If you are looking for foes for your PCs to tangle with, Rogue Gallery has you covered. Next up is the Fantasy AGE Companion, the first major rules expansion for the game. It adds new, fun material for almost every aspect of the game. There are new talents, specializations, arcana, and spells, as well as rules for chases, relationships, organizations, mass combat, and more! Finally in November we’ve got the second edition of Ork! The Roleplaying Game. This was Green Ronin’s very first release 17 years ago. 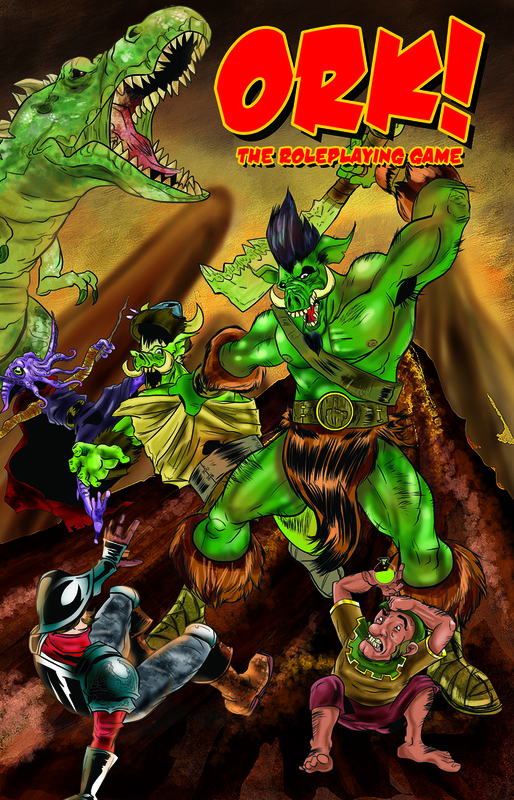 Ork is a beer and pretzels RPG, great for one shots or when you want a lighter hearted game. Show those evil Squishymen who’s the boss! 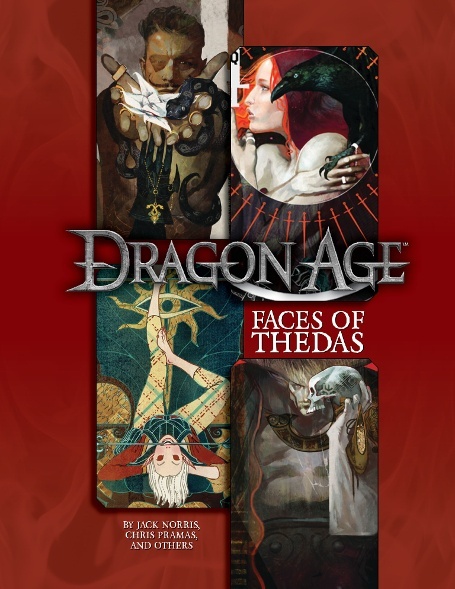 We also hope to get Faces of Thedas, the next Dragon Age book, out before Xmas. The final text for that is up with BioWare for approval. Once we get that signed off on, we’ll be able to slot it into a month for release. Watch our social media feed for more on Faces of Thedas in the coming months. As you can see, we’ve got quite a lot planned for the rest of 2017. For this reason we decided to move Modern AGE and the World of Lazarus from their original November release date to January. This gives us more time to develop the books, and lets us start 2018 with a bang. Modern AGE takes the Adventure Game Engine to Earth, letting you run games anytime from the Industrial Revolution to the near future. World of Lazarus, the game’s first support book, lets you play in the setting of Greg Rucka’s awesome comic. If you haven’t read Lazarus before, do yourself a favor and check it out. It’s seriously great. In February we’ve got two more releases: Mutants & Masterminds Basic Hero’s Handbook and Return to Freeport. The Basic Hero’s Handbook is both an entry point for those new to Mutants & Masterminds and a useful table reference for anyone playing the game. 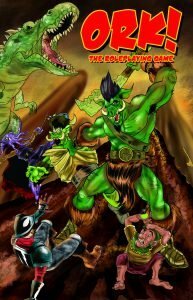 If you’ve been interested in M&M but looking for an easier way to learn the game, the Basic Hero’s Handbook is for you. Return to Freeport is a six-part adventure for the City of Adventure. It’s the first new adventure content we’ve done for Freeport in some years, and it’s designed for a Pathfinder RPG campaign that’ll take you from levels 1-11. At nearly 200 pages in length, Return to Freeport packs in a lot of adventure! A few months ago we announced that we were adding fiction to our lineup and that we had hired Jaym Gates to lead that effort. Our fiction imprint is called Nisaba Press and the Offerings sampler we released at GenCon and online last week gave you the first taste of what we’ve got cooking. We’ll be publishing short fiction monthly and novels and short story collections in print. In November we’ll be publishing Tales of the Lost Citadel, an anthology of stories set in the world of our upcoming Fifth Edition setting that we Kickstarted this summer. Then in January we’ll have our first Blue Rose novel, Shadowtide, by Joseph Carriker. Joe has also become line developer for the Blue Rose RPG, so he’s all up in Aldea! So that’s the overview of what’s coming in the next six months. We have our yearly planning summit next month and we’ll be making plans for the rest of 2018 and beyond. We’ve already got some awesome stuff in the works, like the Sentinels of Earth-Prime card game and the Expanse RPG. I’ll be back early next year to talk about more of our plans. Game on!